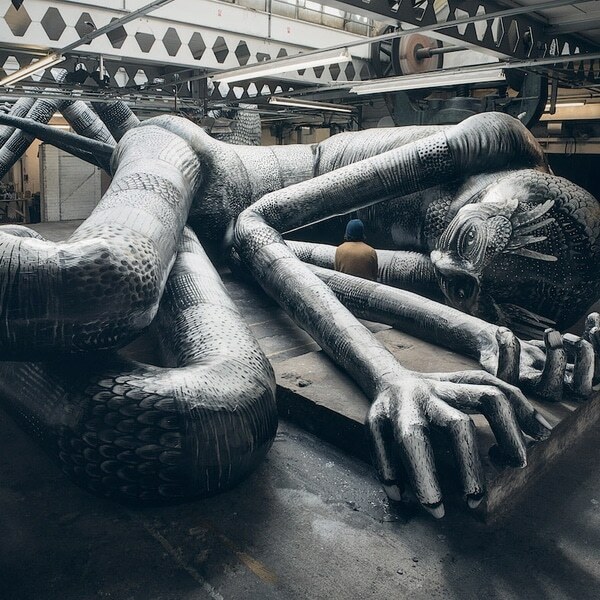 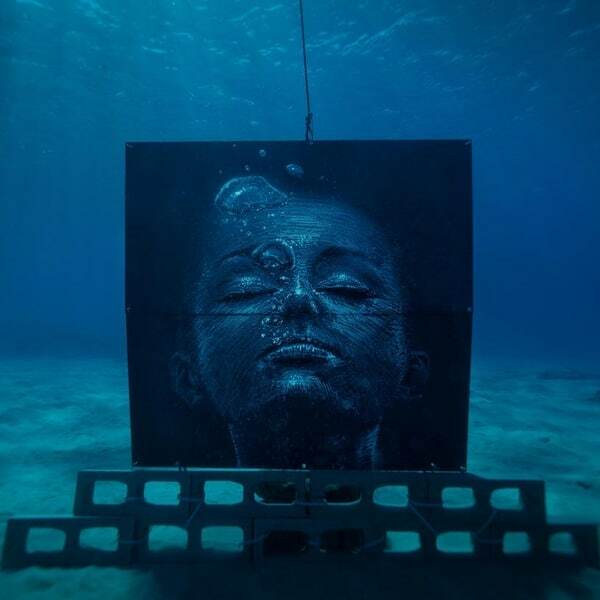 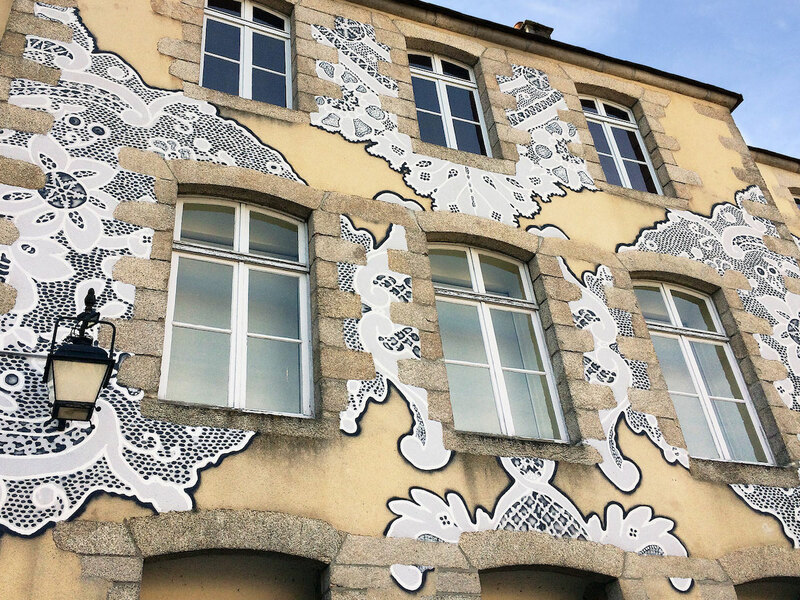 Polish street artist NeSpoon continues to push her craft to the limits. 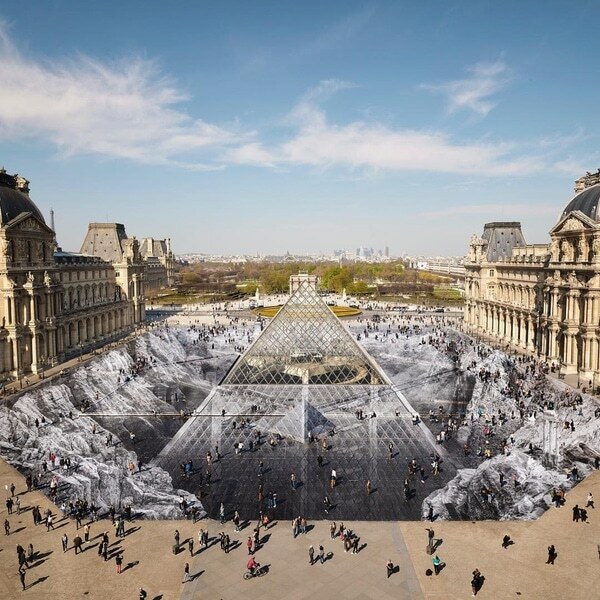 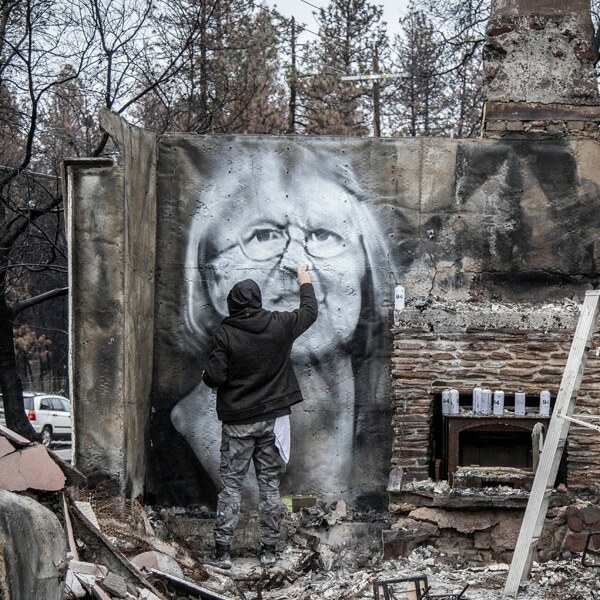 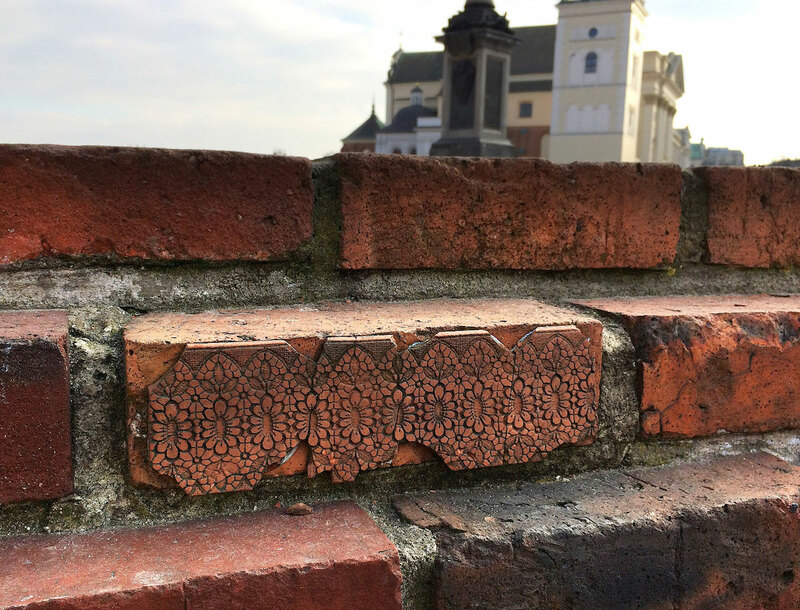 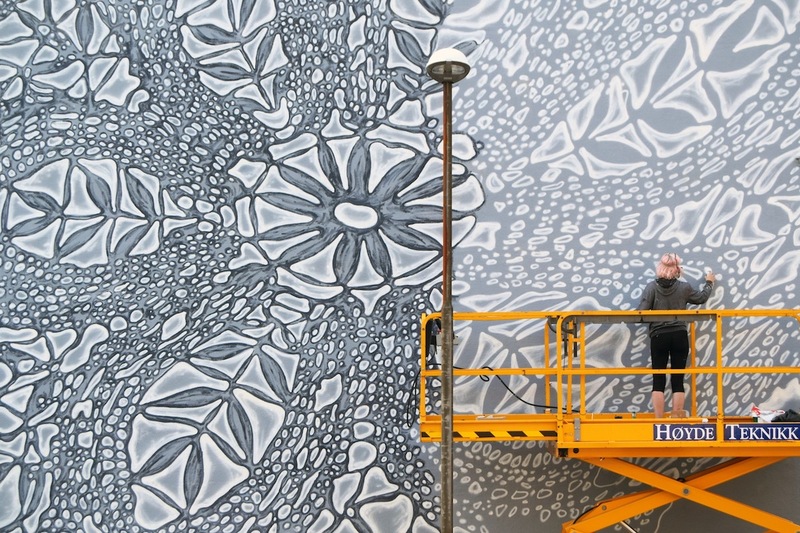 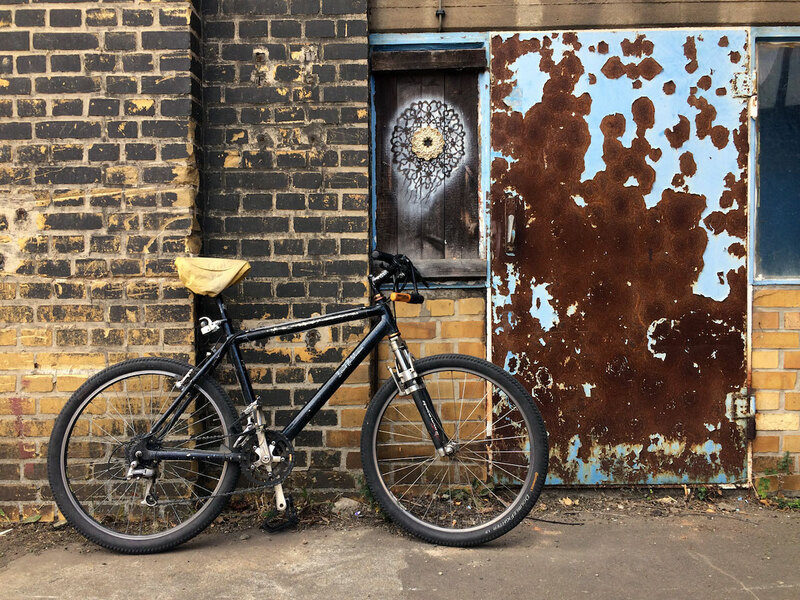 Year after year, she travels the world, leaving her lace-patterned street art in her wake. 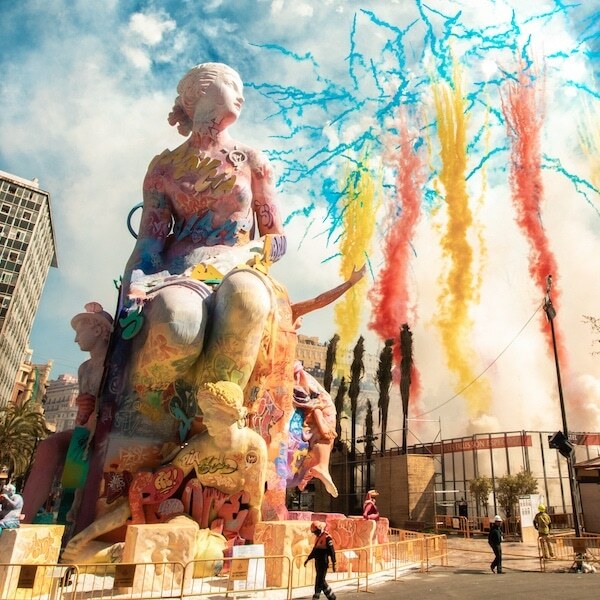 And 2018 was no exception, with NeSpoon continuing to expand her work beyond painted murals into ceramics and three-dimensional installations. 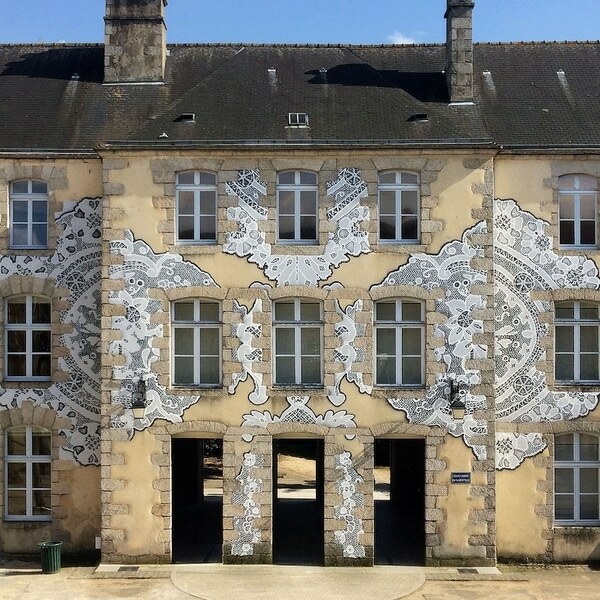 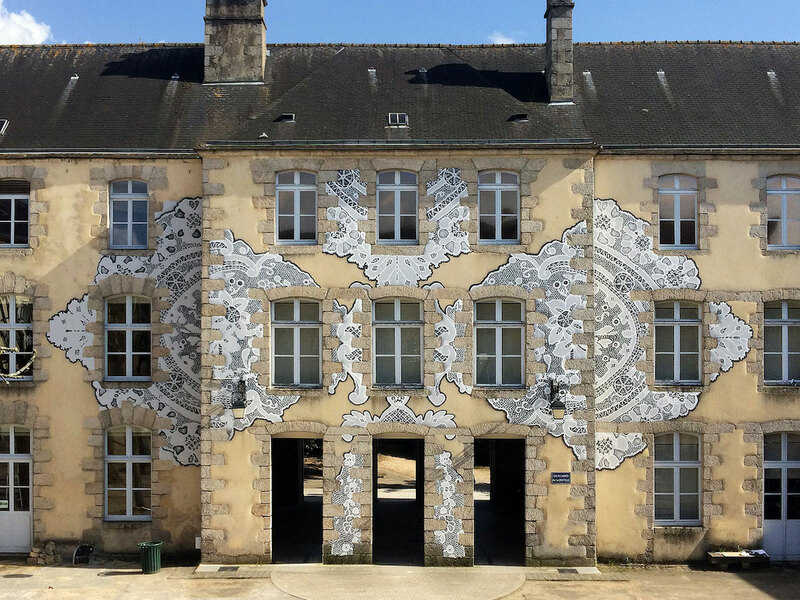 A particularly meaningful highlight was her work on the facade of the Musée des Beaux-arts et de la Dentelle (Museum of Fine Art and Lace) in Alençon, France. 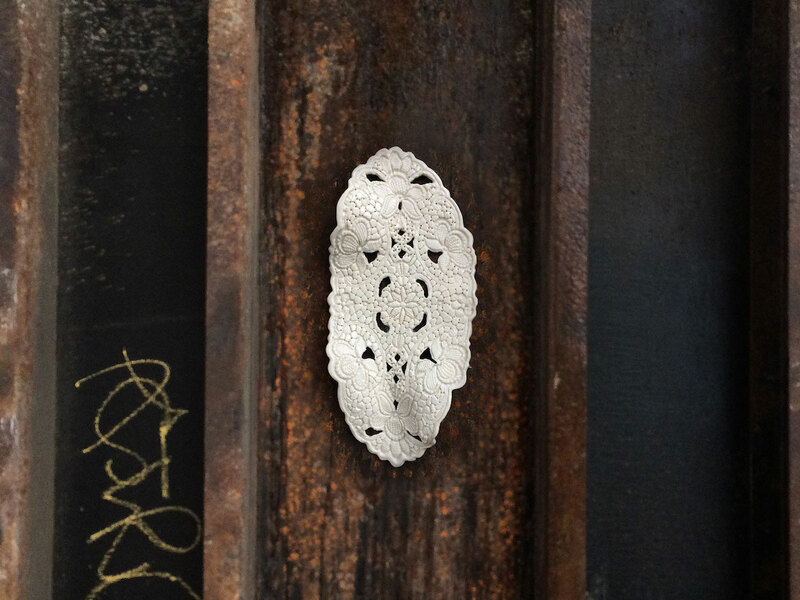 As always, careful research went into the design of the lace pattern, which was based on the work of two French lace makers, Brigitte Lefebvre and Thérèse Lemoine. 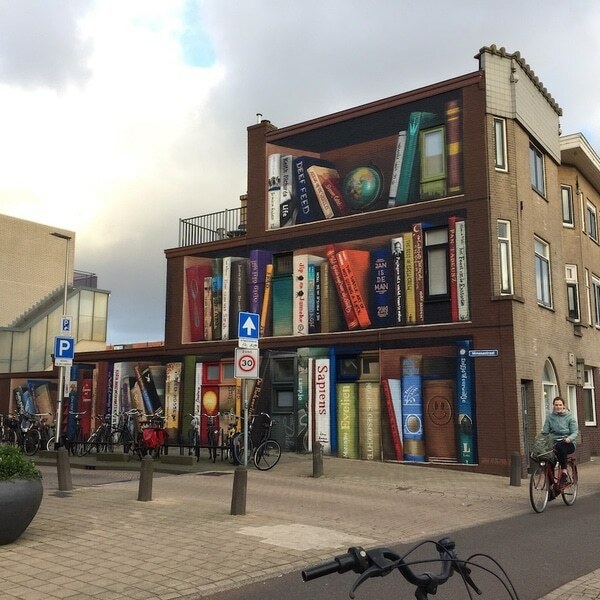 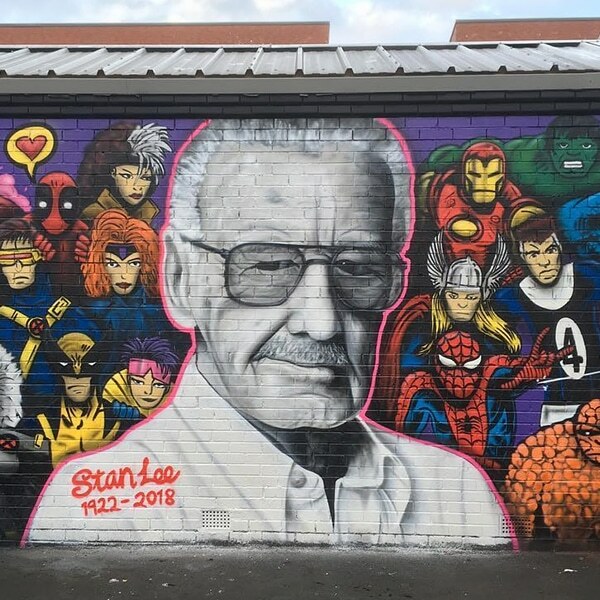 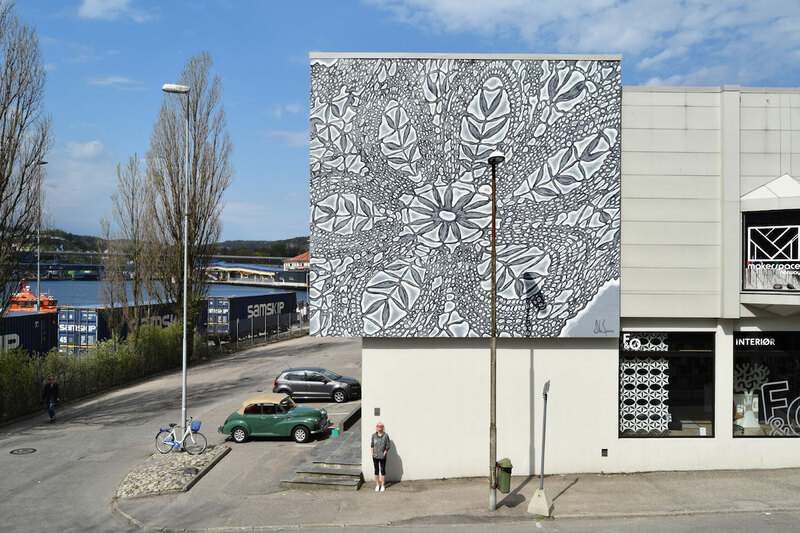 The result is a masterful mural that not only blends with the existing architecture, but rightfully expresses the purpose of the building. 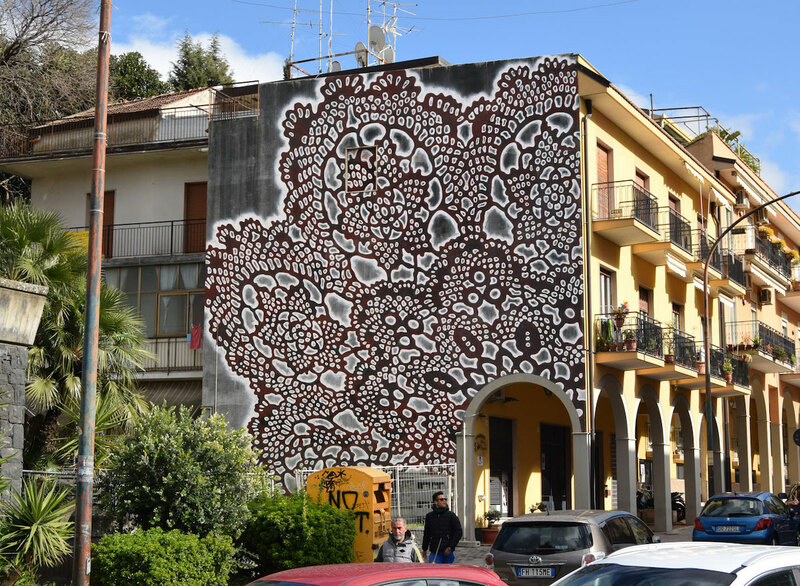 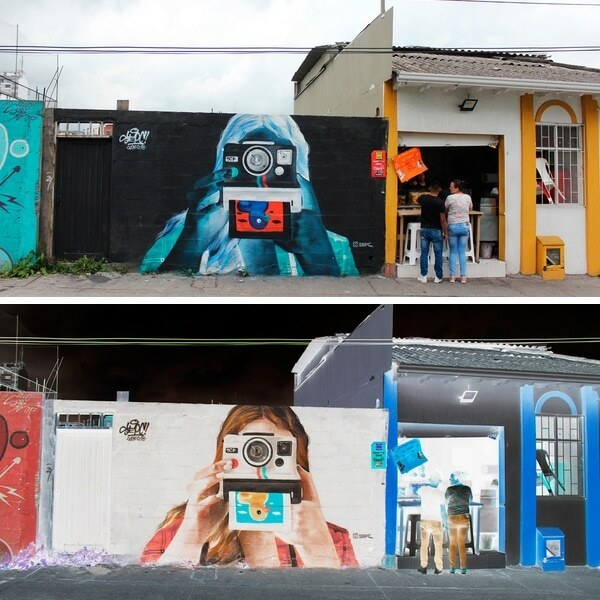 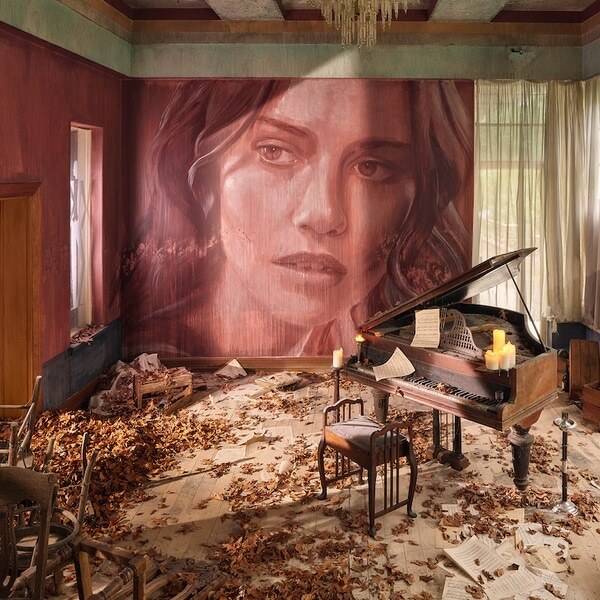 In addition to murals in Poland, Sicily, and Finland, NeSpoon also executed several installations that are three-dimensional realizations of her painted work. 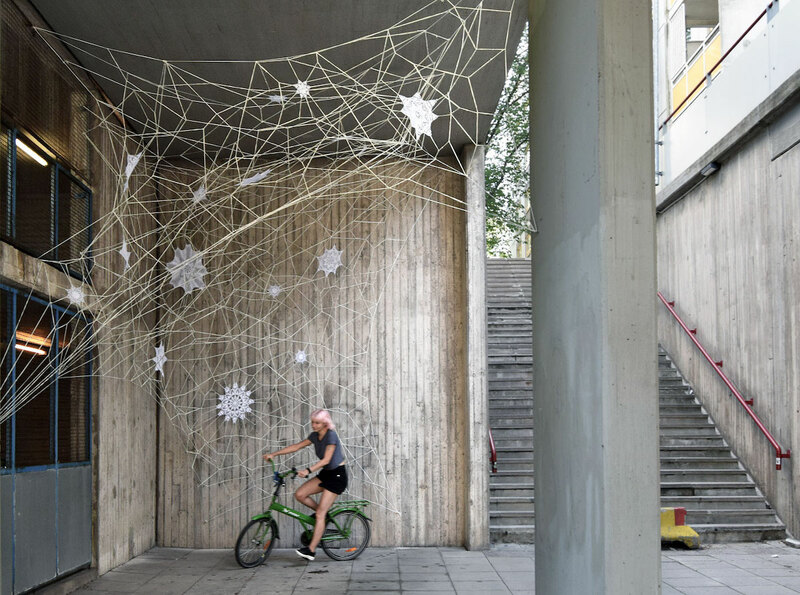 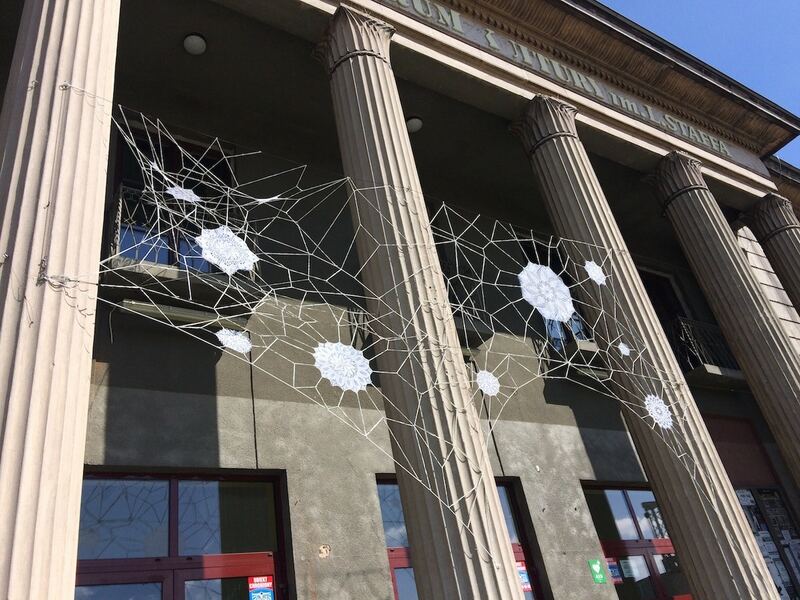 These lace-filled spiderwebs of string strategically permeate the architecture, creating delicate, transparent sculptures. 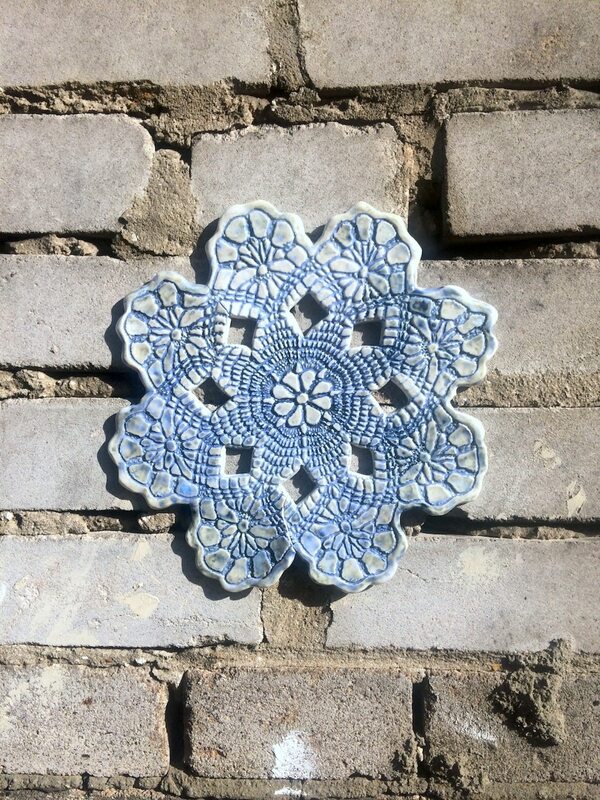 In tandem, NeSpoon produces ceramic tiles imprinted with lacy patterns. 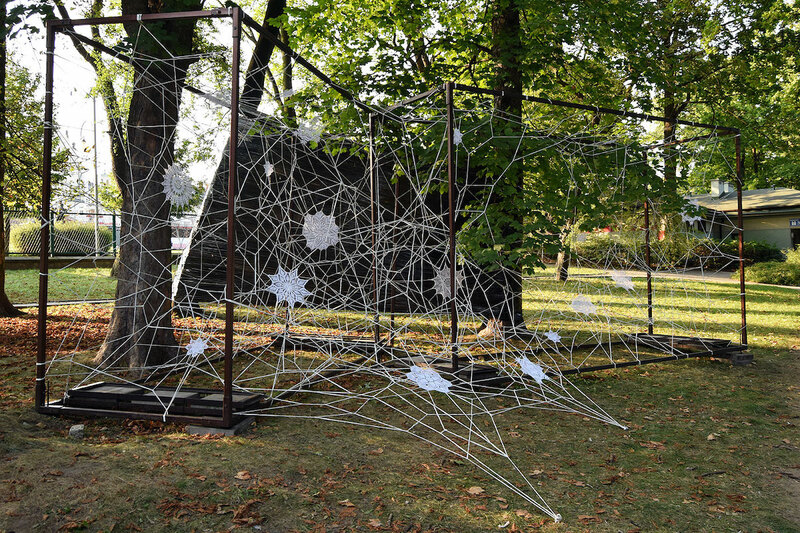 The pieces are then installed outdoors, demonstrating that NeSpoon’s artistic output is not limited to one medium. 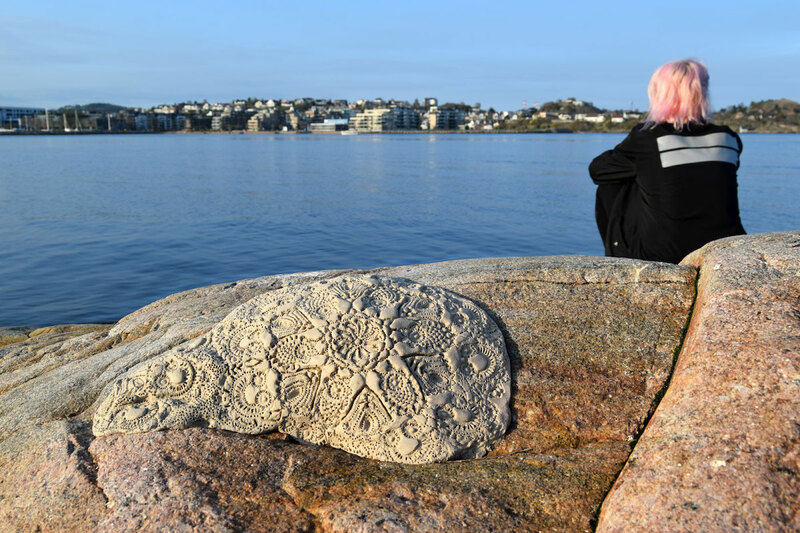 As she continues to explore and expand her artistic horizons, she reminds the public that lace is not a tradition to be left in the past, but a craft that can be thoroughly modern. 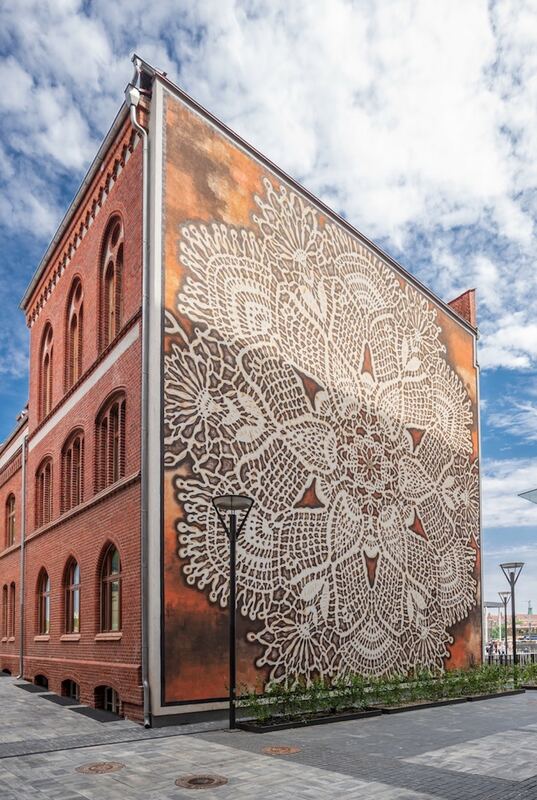 Polish street artist NeSpoon is known for her lace murals, which are often based on historical patterns. 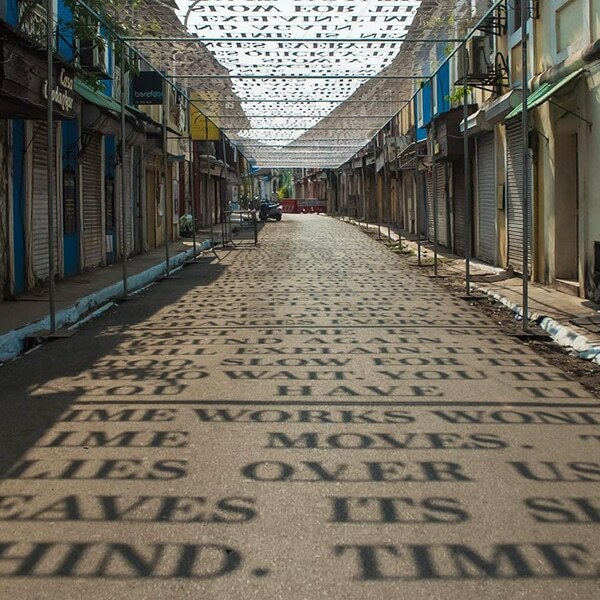 In addition to murals, NeSpoon also creates installations and ceramic tiles that she places in public. 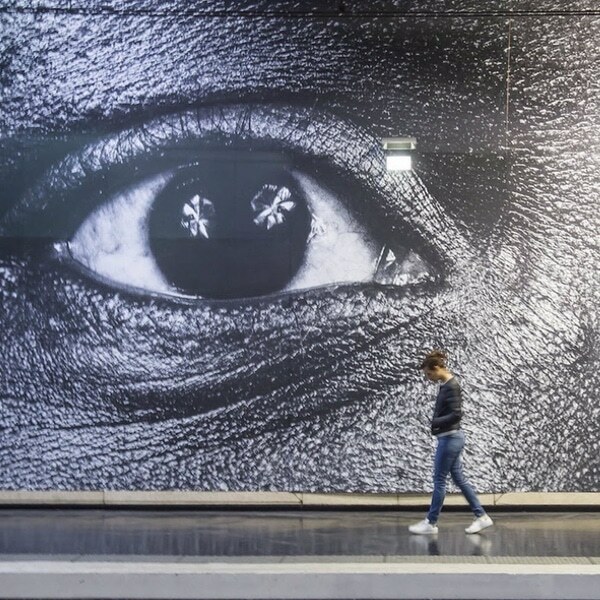 My Modern Met granted permission to use photos by NeSpoon.